People have been using custom pained glass for walls, cabinets, doors, and even floors for a long time. Of course, we at Antique Mirror New York have been installing painted glass for our customers for years. We have a large selection of colors, and can even match customer supplied samples. Glass is a great solution when tile or granite is less desirable. Glass offers a surface that is non-porous and easily sanitized. There are no grout lines to keep clean, and there are no limits to the colors that are available. There are different thicknesses, options for regular clear or low-iron glass, the option of tempering, textures, etc. 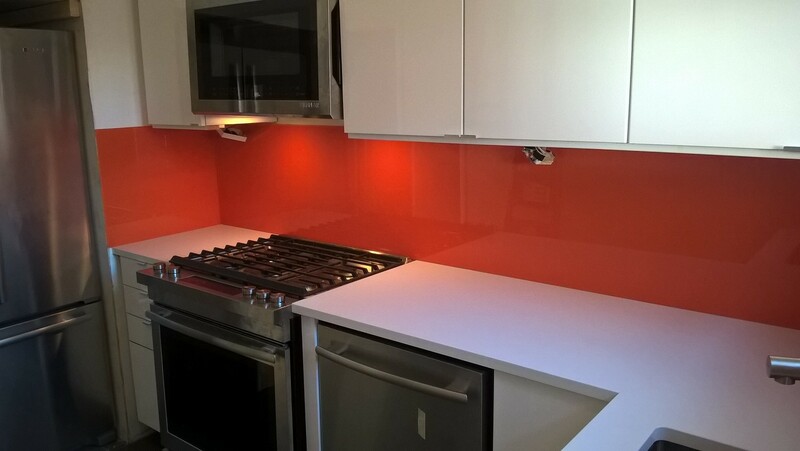 If you have any questions or just want more information about painted glass for back-splashes, just let us know. We would be happy to provide any help that we can.